An old fisherman’s cottage built with the help of a few salvaged ships beams and masts, Harbour Cottage is one of Stromness’ original houses pre-dating any modern record keeping. Sitting on the harbour front and directly across from the Ferry Terminal and Travel Centre, it places you in the heart of the beautiful town of Stromness. 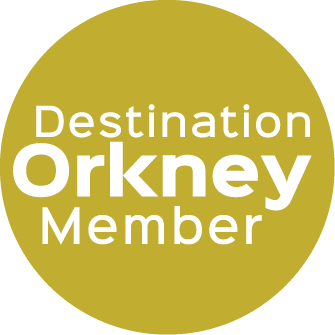 With private parking directly outside, you are only a 5 minute drive from the heart of Neolithic Orkney and it’s globally renowned UNESCO World Heritage Site. Step inside Harbour Cottage and you’ll find a tastefully refurbished and unique house, with a separate kitchen/dining room leading to a sitting room with adjacent w/c and shower room downstairs. Upstairs are two double bedrooms decorated with beach-style furniture, with one bedroom overlooking the harbour front. At Harbour Cottage you will benefit from Superfast high speed broadband, as well as a large screen internet ready Smart TV, along with everything you’ll need to make your stay amazing. £85 per night. Discount given for week long stays. Minimum 3 nights.